The ICAM IAS Air-sampling Smoke Detection systems provide a flexible solution to meet the unique needs of numerous applications including industrial spaces such as cable tunnels, the tamper-proof and unobtrusive requirements of special accommodation, or can simply be used to replace spot (point) detectors in office environments. 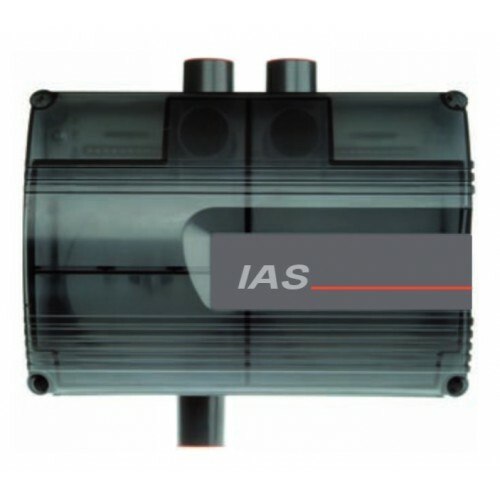 The IAS systems actively draw air from the protected area through sampling holes in a pipe network. Sampled air is then filtered before being analysed by conventional or analogue point detectors incorporated in the systems. The IAS system is available with one inlet pipe (IAS-1) or two in let pipes (IAS-2), and can be fitted with one or two detectors per system. A number of detector technology types (photoelectric, ionization, heat, CO etc.) from a range of leading technology providers may be used. The systems utilize a high performance aspirator and software configurable flow monitoring circuitry. Air flow level is displayed on a ten element bar graph that can be adjusted for high and low flow thresholds, and flow failure is reported as a device fault via relays to the loop. Filteration Single stage dust particle filter. Optional external filter. Flow Monitoring Thermal device, high and low thresholds. 10 element bar graph indication. Relay fault reporting. Maximum Supply Current 350 mA @ 24 VDC with no aspirating pipe.